GAINESVILLE, Fla. – The Gainesville Big Band kicks off the Memorial Day weekend at “Free Fridays” on Friday, May 25. The Gainesville Big Band began as the Gainesville Community Jazz Band. Since 2007, the band has brought big band jazz to Gainesville and the surrounding areas. They are an 18-piece jazz band that plays a wide range of big band styles, such as traditional swing, dance, Latin and contemporary jazz. Under the direction of Marco Thomas, along with the sultry vocal sounds of Pattie Glenn, the band delivers a rich full sound from Basie to Ellington, Gershwin to Miller, Porter to Mercer, Vegas to Broadway, favorite ‘60s television soundtracks and top 40 hits. Members of the Gainesville Big Band include Anne McReynolds (alto sax), Paul Gader (alto sax), Jack Gregory (tenor sax), Drew Little (tenor sax), Katey Sands (baritone sax), Katey Sands (baritone sax), Paul McReynolds (trumpet), Chris Bogert (trumpet), Rod Butler (trumpet), Vito Mantauk (trumpet), Frank Young (trumpet) Nick Simpson (trombone), Garry Davis (trombone), Dan Wells (trombone), Albert Issac (trombone), Marco Thomas (bass trombone), Geena Cesar (piano) Anthony Clark (guitar), Chad Young (bass), Masa Enomoto (drums) and Pattie Glenn (vocals). Director Marco Thomas began his professional music training at Florida Southern College, earning a Bachelor of Arts in music education while studying under Director of Instrumental Studies and Director of Jazz Ensemble Dr. Brian S. Brink. Thomas was also a student of world-renowned jazz composer and trumpet player Nat Adderley (“Work Song”). Thomas was awarded a Master of Arts in music performance on trombone from the University of Florida, while studying under Dr. Arthur Jennings. He played with the UF Jazz Ensemble while there. Thomas is a past member of the Atlanta-based African-American Philharmonic Jazz Orchestra. He currently performs with several local groups, and has published articles in The Instrumentalist magazine. “Free Fridays” is funded in part by a Tourist Development Tax Grant from the Alachua County Board of County Commissioners in conjunction with the Alachua County Tourist Development Council and Culture Builds Florida. The entire “Free Fridays” 2018 schedule can be viewed at www.freefridaysgnv.com. 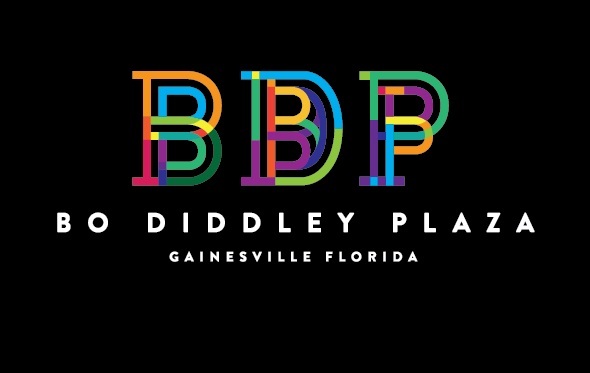 The Bo Diddley Plaza is located at 111 E. University Ave. in downtown Gainesville. For general information, contact Russell Etling, cultural affairs manager, at etlingrh@cityofgainesville.org or 352-393-8532. For more information about this event, please contact David Ballard at ballarddg@cityofgainesville.org or 352-393-8746.